McGill University values quality in the courses it offers its students. End-of-course evaluations provide valuable student feedback and are one of the ways that McGill works towards maintaining and improving the quality of courses and the student learning experience. Student involvement in this process is critical to enhance the general quality of teaching and learning. All McGill courses with five or more students must be evaluated. For most departments, students have six (6) weeks to complete their evaluations; the default period closes two days after the end of the examination period. Students receive between two (2) and six (6) email reminders, depending on the evaluation period. Efforts from Instructors, Teaching Assistants, Unit Heads, and Student Leaders can be effective in encouraging student participation. Instructors have access to their results after grades are submitted and processed. Students are able to view numerical course evaluation results, provided the instructor has not objected to access and an adequate response rate has been received. We encourage all instructors to complete the online permission form to grant permission to disseminate the numeric results of their course evaluations to students. There are more than 5,000 unique courses evaluated every year. There are more than 2,500 unique instructors evaluated every year. There are more than 30,000 students with course evaluations every year. The University-wide participation rate is approximately 50%. 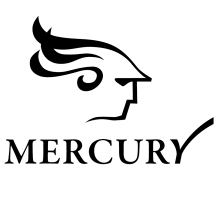 The University-wide implementation of Mercury helped eliminate the need for approximately 96 boxes of paper or 480,000 sheets every year.